The photo’s are beautiful and ‘magic’, the same as Michael. Thank you for sharing them. One can only imagine what it was like there for 18 years. Michael was a perfectionist, so the ruins left standing are haunting. What is missing has been taken from us. Your camera captured the life of this once happy and carefree land that has died and what is left is bittersweet. 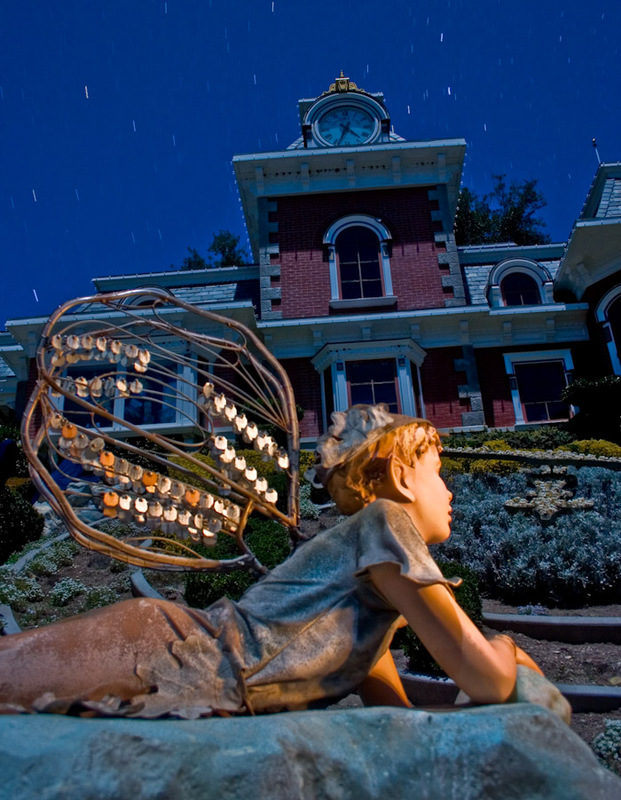 Yet, we who have never experienced Neverland, thank you with all of our hearts. To think how alive this place once was while Michael was living there, and now how alone and abandoned without him, is simply heartbreaking. We use our own ‘magic’ to bring it back to life! I weep at how it is so unkept and barren now, with the tears and echos of the lost children. Evil took away our Angel, and the world will never be the same. Why society wants to damn the innocent and pure of heart is beyond words. The world has lost her way. Michael I pray your Heavenland is spectacular, and has provided you with the peace, love and understanding that was so out of reach for you here. Thank you for all you gave to this ungrateful world. We miss you Michael, we love you more. kathy i think you are hallucinating. Please hand over the laptop to your parents.